Once you are in this step, please follow the instructions to activate it! Fill the form below in order to download an activation certificate. 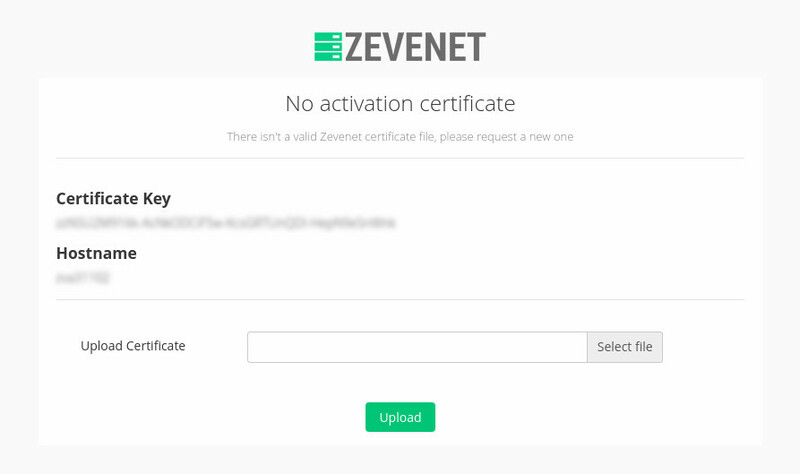 Uploading such activation certificate into the Zevenet Load Balancer Enterprise Edition appliance you will be able to evaluate it along 1 month. Request assistance to our engineers if you need it! Once the appliance is deployed or installed, please set the hostname in case sensitive and the generated ZLB certificate key into the form below. Please note that the email should be the same as you set in the Enterprise Edition Evaluation Form previously.